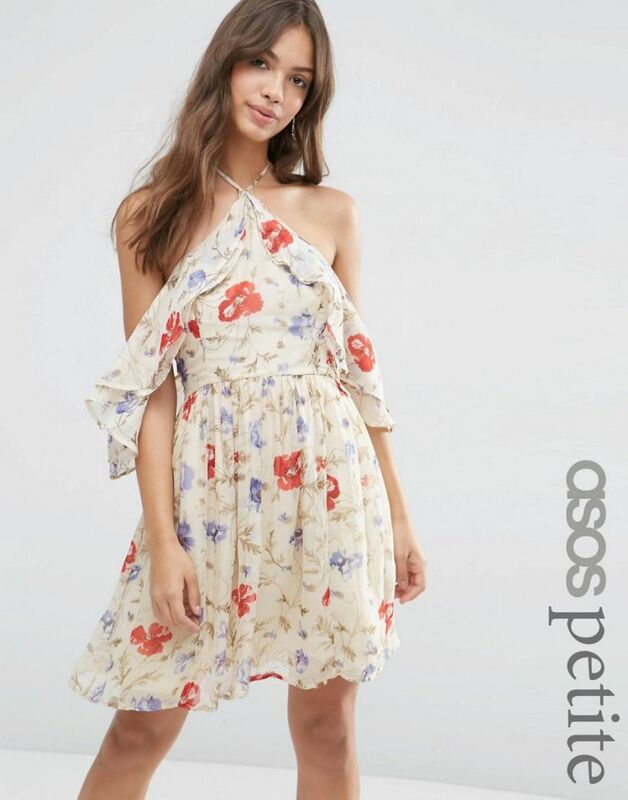 Dress by ASOS PETITE, Lined chiffon, All-over floral print, Halter neckline, Cold-shoulder design, Zip-back closure, Regular fit - true to size, Machine wash, 100% Viscose, Our model wears a UK 8/EU 36/US 4. ASOS PETITE brings forth a trend-led collection specifically designed to fit women of 5�3/1.60m and under. Adapting directional designs, key pieces and best-sellers from our mainline range, the collection also features an exclusive range of styles especially created for our petite customers with carefully considered cuts and shapes. Expect a wide selection of dresses, playsuits, trousers, tops and more, perfectly proportioned for the most flattering fit.